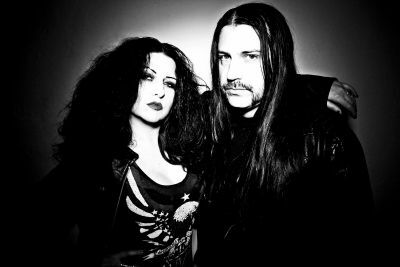 Erin Dodd catches up with Southern rock’s finest in Mick and Tairrie B Murphy of My Ruin in advance of their UK tour this month to talk about the new free to download album ‘A Southern Revelation’ and what it means to them as a band who have been plugging away at the centre of heavy metal music for 13 years. S] What is the relevance of the title A Southern Revelation? Does it hold any significant meaning for you as artists or personally? S] Why did you decide to make A Southern Revelation only available via download? S] What do you find are your main lyrical influences? S] Many of your fans find a real emotional connection within your lyrics, is that something you consider when writing songs? S] Tairrie, your vocals are lot “softer” on this album; was this a conscientious decision or was it more spontaneous? S] We love how you combine the sounds of pure Southern rock ‘n’ roll with aspects of heavy metal and powerful, rather soulful vocals. What made you decide on such a combination? S] Are there any bands that you would consider to be your musical influences or heroes? S] One obvious event that has happened is your change from a four-piece to a two-piece. Has this changed My Ruin as a band? Do you see it now as a much more personal project? S] Mick, this change to a duo has obviously put a lot of emphasis on your musical talent, with you now playing guitar, bass and drums. Do you welcome the challenge or would you prefer to concentrate on one instrument? S] You have a UK tour starting on January 18 to celebrate the release of your new album. Can you tell us about that? S] Where do you see My Ruin in 10 years time, a My Ruin Greatest Hits album perhaps? For more information visit the link above, and find tickets for the upcoming My Ruin tour here.